It is the exoskeleton which ignited my love for robotics, a device which both mirrors and enhances human function without replacing it. As with most technology, as the robotic exoskeleton develops it is moving away from bulky and functional to sleek and precise. One such example of this development is the Cyclone Rope Piston by Rise Robotics. Rise Robotics has created an actuator (motor) which, paired with cables efficiently transfers power to the user. Just as a particular movement, such as holding something while bending and straightening the arm, is easier if a muscle is able to work throughout the entire range of motion, this motor helps generate power throughout the entire movement of the user. 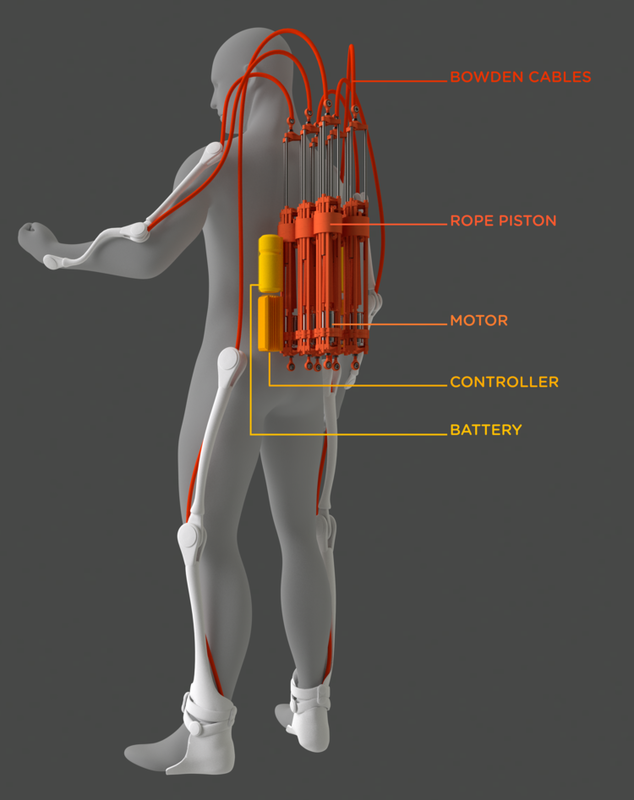 The development of such a motor potentially makes an exoskeleton much more functionally strong by generating more efficient power throughout the entire range of movement of the user. The Cyclone Rope Piston allows for a lightweight wearable robot to assist with either strenuous activity for an able-bodied person, or movement assistance for rehabilitative purposes. This product is still in the funding phase. There is no doubt that robotics is changing and improving the field of healthcare. 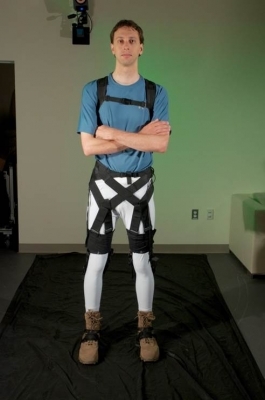 While there are many brilliant products being introduced in this field, it is the robotic exoskeleton that I personally find the most amazing. 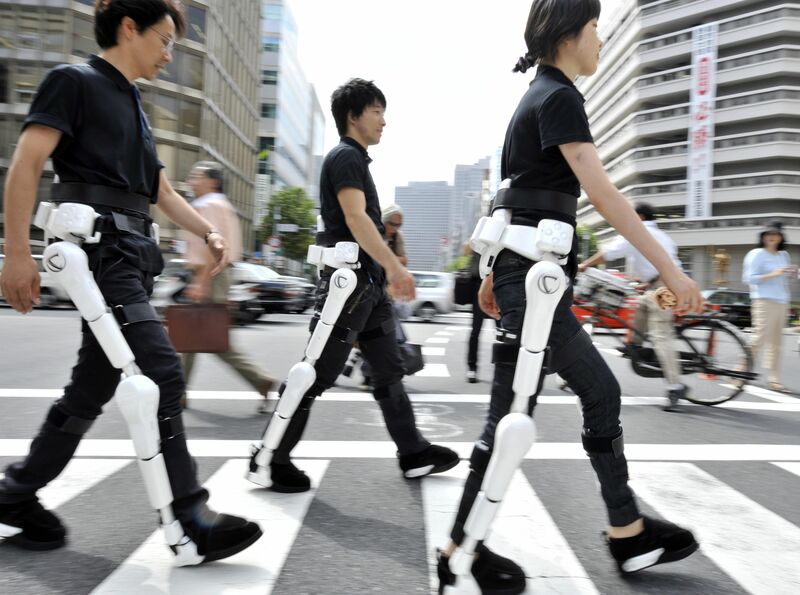 To think that one day we can completely eradicate the long term use of wheelchairs for people with neurological injuries and replace them with a wearable robot which allows them to stand and walk is absolutely inspiring. The Indego is one of these devices. Weighing in at 26 pounds, this modular device comes in 5 pieces and is put on in components over the legs, hips and torso. The light frame of the device allows users to keep it on even while in a wheelchair prior to use. 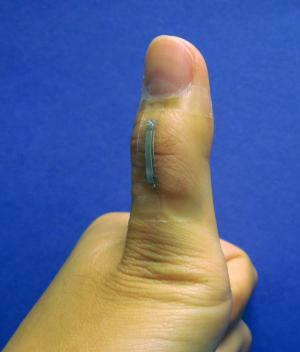 The device responds to weight shifts in order to guide movement. A forward lean allows the device to help users stand and walk, while leaning backward stops movement. Modular components at the hip and legs propel forward movement at the joints once initiated. Currently only available for research purposes in rehabilitation centers, the website states it anticipates commercial sales in the US in 2016.